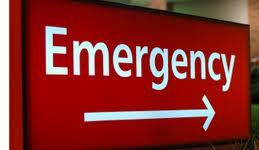 At one time or another just about everyone will have an ‘Emergency Room Experience’. Maybe you will be the patient, or, just as likely, you will be there with a friend or family member in need of emergency medical care. Either way it will not be a planned event and it will not be convenient. If you are the patient there will be pain and possibly some bleeding involved, you will most likely not know the doctor or nurses taking care of you, their qualifications to do so, or track record. At best it will be an unpleasant interruption of a normal day. At worst—well… But there are some things you should know and some things you can do to minimize the chances of that worst-case scenario. This user’s guide is intended primarily for those patients who enter the Emergency Room through the front door, having arrived via some sort of private transportation. Those coming through the back door on a gurney being pushed by several firemen and EMT’s are generally given a bit more leeway—though the situations in which they are not will be discussed a little later. In an emergency you are going to go, or be taken, to the ER closest to where the problem occurred. Since your home is the likeliest spot it might be wise to do a little research before the need to visit the place arises. Find out which is the hospital nearest you, go to its web site, or call the hospital administrator, and get the information you need. Are the ER doctor’s board certified? Is the hospital a paramedic receiving facility? A trauma center? Is it a department with special expertise in pediatrics? When you arrive in the ER you will be greeted by someone sitting behind a window made of something transparent and bulletproof. That person will be either an admitting clerk, or, possibly, a triage nurse. You will be asked to give your name and the reason you’ve come. This latter bit of information will determine what happens next. ‘Triage’ (FR. trier , to sort) is a word for the process of sorting through battlefield casualties to identify those who will benefit from immediate treatment, those who can wait, those who can do without treatment, and those for whom there is no treatment and who are ‘goners’, (ENG slang, one who is doomed). Once you’ve given your name and stated your problem you will be triaged. Your vital signs, (heart rate, respiratory rate, blood pressure, and, more recently, your degree of pain), will be measured and recorded. You will be asked to provide details about your problem. How long have you had it? Have you had it before? And, if your answers are ‘for a while’ and ‘yes’, you might be asked ‘why now’? No one is trying to be snide here. Why you’ve chosen this moment to seek attention for a problem you’ve had ‘for a while’ is useful information. If the triage nurse has by this time determined you are not at risk of dropping dead any time soon she, (it could easily be ‘he’ but for our purposes we will use ‘she’ when referring to the nurse), will ask additional questions about your past medical history, what medicines you are taking, (more about this later), and whether or not you have any allergies. Based on this information you will be assigned a ‘severity scale’ and placed in the queue waiting to see the doctor—the higher the degree of severity, the closer to the front of the line. Certain complaints will allow you to bypass the queue altogether. Chest pain, difficulty breathing, and massive bleeding will get you into the ER immediately. Grossly abnormal vital signs will also do the trick. If your ‘severity score’ is low but the department isn’t busy, (see Pick Your Spots), you will be taken right back. If, however, the place is a madhouse and you’re there with a sore back after a minor traffic accident you can count on spending some time in the waiting room. The waiting room of an urban ER can be a fascinating place, anthropologically speaking. People of all ages, walks of life, and cultural backgrounds, anxious, and in various forms of misery, in one room, with a TV turned to the one station the fewest people there have any interest in watching with no remote anywhere to be found, surrounded by old magazines and ‘helpful’ pamphlets describing what they or their loved ones are about to undergo. And a vending machine. For hours. Fortunately, many hospital administrators and ER medical directors have learned that keeping patients diverted and the process moving is good for ‘patient satisfaction’ and good for business. Patients who leave without being seen are lost revenue and bad press. They will tell everyone they know how inefficient the ER is, how uncaring the staff. That their wait may have been affected by the steady stream of seriously ill people coming through the back door courtesy of the paramedics makes no difference. So the triage nurse has also become the waiting room ringmaster. She lets the doctor know who’s there and what their problems are. Evaluations can then be started while the patient waits. Blood is drawn, urine samples collected, x-rays and ultrasound exams ordered. Patients are ferried back and forth from lab to radiology and the wait seems less. Then, when they finally do get back into the ER, everything the doctor needs, theoretically, is done. You’ve made it to the inner sanctum. You have been walked or wheeled into the actual ER and have been assigned a bed. Depending on the department, this could be a private room, a semi-private room, or a gurney separated from other gurneys by a privacy curtain. You are asked to undress and put on a patient gown, open in the back, please. You ask ‘Why?’ since it is your ankle that’s bothering you. You may or may not get an answer but the reason is this: there are many ways to injure an ankle, and several of them carry the risk of injuring the knee or some other body part distant from the point of maximum discomfort. Simply pulling up your pant leg does not provide adequate exposure. Things could be missed. Liability, (about which we will speak at length a bit later), could be incurred. So take off your damned clothes. We’ve seen it before and unless you are in some way physically astonishing we are not that interested. Your nurse will do an assessment. She will ask you all the questions you were asked in triage. She already has most of that information but she wants to hear it for herself. She will then say, ‘The doctor will be right with you’. Maybe or maybe not. It depends on what the doctor is doing at the moment. If he, (another sexist convenience, sorry), is in the middle of suturing a complex laceration on the chin of a terrified four-year-old it might be a while. There are a number of things that could be monopolizing the doctor’s time, and the level of chaos in the department should give you some idea you might be waiting a while to see him. Finally the doctor arrives. Introductions are made and you are asked the same questions you’ve already been asked in triage and by your nurse. Don’t get frustrated. Answer the questions as clearly and succinctly as possible. It is an axiom of emergency medicine that no patient will tell the triage nurse, the treating nurse, and the doctor the same things. It is the sum of what’s revealed to each that gives the best picture of what’s going on. In the case of your ankle it is fairly straightforward. You tripped, or you were involved in some sporting event, whatever, and you twisted it. If, however, your complaint is abdominal pain, things become exponentially more complicated. If you happen to be a woman with abdominal pain, double that. Listen carefully to the questions asked and be as specific as possible. “A while ago”, is not the appropriate response to “When did the pain start?” “Everywhere” is not a helpful reply to “Where does it hurt most?” unless it really does hurt the most everywhere. If you are taking medications you should know what they are and how much you’re taking. Keep a list handy. “You have my records” or “my doctor knows” or “ask my husband/wife/son/daughter” is no substitute for the actual list. We might not have your records or be able to access them, your doctor could be in Hawaii or on the golf course which is why you’re in the ER to begin with, and your relatives likely have no idea what medicines you take. If your problem is abdominal pain, or some other unobvious, non-orthopedic complaint, more testing will be needed. Blood tests, urine tests, ultrasound exams, CT scans. They are all a possibility. You will be in the ER for at least an hour and a half, and most likely longer, while we sort your problem out. Meanwhile, you will continue to lie on the gurney free to enjoy the show. If you are in significant pain feel free to ask for pain medicine. Failure to address a patient’s pain is frowned upon by the Feds, so we are usually happy to oblige. Try not to sound like a junky, though. Things like “I’m allergic to everything but Dilaudid”, “I need x number of milligrams or it won’t work”, and “I have a high tolerance for narcotics” tend to raise our suspicions that your visit to the ER is more about acquiring drugs than it is about receiving medical care. Some of us even have access to your prescribing records, kept on file by the State. If we look you up and see you’ve been prescribed two hundred Vicodin in the past month by a variety of doctors we are unlikely to give you more. Once you have had your Medical Screening Exam it is OK for us to ask about your insurance status. We need to do this for a number of reasons, and getting paid is only one of them. The healthcare system is complex and the type of insurance you have will determine which consultants we can call, who your attending physician will be if you get admitted to the hospital, and which hospital we can admit you to. For these reasons it’s important that you have your insurance card with you when you arrive. If you have no card, and we have no prior information about you in our files, there could be problems. If your condition is such that you need to be hospitalized, and your regular doctor isn’t on staff at our hospital, you will be taken care of by the on-call physician. If the next day your card materializes and indicates you have an HMO that contracts with a specific medical group working at a certain hospital a ruckus will ensue. If the HMO determines that at the time of hospitalization you were stable to be transferred to their contract facility they will refuse to pay the on-call, non-contracted doctor and the hospital. This potentially leaves you on the hook for a very large bill. The on-call doctor and the hospital CEO will blame the ER for the mix-up. Blaming the ER is convenient and whenever something goes wrong it’s the first thing the affected parties will do. We’re used to it, but it doesn’t mean we enjoy it. When the dust finally settles it is likely the doctor and hospital will get paid something for their trouble, you will get transferred to the contracting hospital, and no one will try shaking you down for the balance. Nevertheless it will have been unpleasant and unnecessary, so keep your insurance card next to your medication list. If your medical condition is such that you are deemed unstable for transfer none of the above matters. In cases of true emergency admissions your insurance company, whichever it happens to be, will pay the bills until you are stable. If you have no insurance you will not be denied care. We are legally and morally obligated to take care of you, and we will. If you need to be hospitalized you will be, if you need surgery you’ll get it. You will, though, be responsible for the bills and the bills will be ridiculously high. Understand that no one expects you to pay full price. Not even close. You will be able to negotiate for the lowest amount the hospital accepts from its worst payer—usually Medicaid. You will be given a payment plan. If you are truly indigent you’ll probably be allowed to walk on the whole amount. Despite what you read in the news, none of us wants to send you to the poor house. If you do leave the room we should have a nurse present as a chaperone. If you see that we do not, request that a nurse be there. It is for our mutual protection. Once you are gone we will have the best chance of finding out what your child has been up to and whether or not it has any bearing on his or her current problem. Of course, some of you have remarkably open and honest relationships with your children and there are no secrets. Great. Now take a hike for a little while. Don’t abuse the system. While it’s true that patients brought to the ER by paramedics get seen faster than those coming through the front door, especially when the department is busy, it’s because they are usually sicker. Please don’t dial 911 because you want to avoid the wait, don’t have a ride, or don’t want to pay for a cab. Save it for the day you have crushing chest pain, can’t move your right leg, or can’t stop vomiting. The day you wrap your car around a telephone pole while talking on the phone, someone will do the calling for you. Friends and family members can get food from the cafeteria if the cafeteria happens to be open at that moment. The nurse will not provide specially-prepared-to-order meals for members of your entourage. If the cafeteria is closed, there will be vending machines available to them. There is also the fast-food take out option. No one is going to stop them from bringing food into the department. But is it really necessary? If you are only going to be there for an hour or so wouldn’t it be better for them to wait until you are discharged to have that Happy Meal? There is also some language to avoid. We will take care of you regardless of whether or not we like you, but isn’t it better to be liked? If you think so you should refrain from swearing at us, calling us vulgar names, and threatening us. Threats can be verbal or physical. Neither is appreciated. Depending on the nature of the threat we will ignore you, call security, or call the police. We have a special relationship with local law enforcement. We do the alcohol screening tests for suspected drunk drivers in custody, we do the ‘OK to Book’ evaluations for prisoners on their way to jail, and, most importantly, we are there 24/7 should an officer get injured on the job. They get a little special consideration from us. We try not to waste their time. If you pose a real physical threat to us we will call them and they will be in the ER with guns drawn within minutes. Your day will have gone from bad to much, much worse. Six months later, when it’s time to renew our malpractice policy, we are informed that the premium has been adjusted upward by twenty percent due to our ‘loss record’. What ‘loss record’? We won. Didn’t we? Well, technically, yes, but our victory was Pyrrhic. It cost the insurance company a small fortune it now needs to recoup. So don’t tell us about your lawyer. In fact, if you happen to be a lawyer you might want to keep it to yourself. Your disposition, that is, what we are going to do with you when we’re done with our evaluation, is something we’ve been thinking about since you walked in the door. Getting patients out of the ER and into the appropriate aftercare environment is as important as treating their medical problems in many cases. Roughly eighty per cent of you will be going home. The sprained ankle has been splinted, the laceration repaired, the abdominal pain found to be a bladder infection for which antibiotics have been prescribed. The remaining twenty per cent, though, will need in-patient care. The decision to keep you in the hospital is based on a number of factors: the severity of your illness, the need for surgery, the likelihood your problem will respond to out-patient treatment, the fact that your symptoms, though relatively minor, could represent a life-threatening condition and need to be closely monitored, (this is especially true if your complaint was ‘chest pain’, you are middle aged or older, and have risk factors for heart disease, like diabetes, hypertension, a long smoking history, and family members with heart attacks), and whether or not you have a safe place to go. If you are elderly and living alone, you could be admitted for a day or so until arrangements can be made to place you in a supervised living environment until you are able to care for yourself. You might disagree with our decision to keep you in the hospital. It is your right to do so. We are not the police, the ER isn’t prison, and, provided you are competent to do so, it’s ultimately your decision to make whether to stay or go. We can only give your our best advice. If you choose not to take it you will be asked to sign an AMA form, indicating you have chosen to leave the ER against medical advice after having had the risks of doing so clearly explained to you. By signing this form we are shielded, somewhat, from liability should bad things happen that could have been avoided or mitigated had you chosen to stay. Refusing to sign it isn’t going to give you much of an advantage, because your refusal will be witnessed by another member of the staff and noted on you medical record. It is also possible you will need to be transferred to a different hospital. Usually this will be for a ‘higher level of care’, meaning the services you need are not available at our facility. Examples of this are the psychiatric patient needing admission to a psych hospital and the patient with an obvious heart attack needing to go to the place with a catheterization lab and cardiac bypass capability. Or maybe you cut some tendons in your hand and we don’t have a hand surgeon on call. Whatever. In some cases it’s an insurance issue. You have an HMO that contracts with a specific hospital, you are stable to be sent there, and you are willing to go. And, to be honest, it could be a lack of insurance issue. You have a problem that requires the services of a specialist and we don’t have one on-call because he doesn’t want the exposure to uninsured patients. We will evaluate and stabilize you in the ER, no questions asked, but we will have to send you elsewhere for definitive care. You are one of the lucky eighty per cent and it’s time for you to go home. Before leaving you will be given an explanation of what just happened. This should include your diagnosis, your test results, and your aftercare instructions. Ideally this information is given to you by the doctor, but regardless of whom you are speaking with it’s essential that you pay attention, understand what’s being said, and ask questions if you don’t. It’s been a nerve-wracking experience, you are anxious to be done with it. Force yourself to focus for a few minutes longer. If you are given prescriptions to fill, be sure you understand what the medicines are for and how they are to be taken. The pharmacist can help you with some of this later, but the more you know when you leave the ER the better. If you have restrictions and are going to need a note for work or school, now is the time to ask for it. You will also be given specific instruction for follow-up. You will be told to call your doctor in a day or two, or return to the ER at some specified time. Don’t screw this up. The treatment you received in the ER may not have been definitive, the diagnosis, tentative. You need to follow up as directed to be sure you have the best possible outcome. We can’t always tell you what you have based on the ER visit alone. We can tell you what you don’t have, and we will have ruled out most of the really nasty things, but in many cases the final diagnosis will require further outpatient evaluation. If you have been given pain medicines or other drugs that make it unsafe for you to drive, you will need someone to take you home. This is where Friends and Family are useful. If you are alone, we’ll call you a cab. We can’t legally dispense medications from the ER. You should make arrangements to fill your prescriptions on the way home. You survived the ER visit and you are recuperating from whatever it was that sent you there. The experience is fading into a vaguely unpleasant memory. Then, one day, a week or so after the visit, you go to the mailbox and find a bill. Over the course of the next few weeks you get more bills. Bills from the hospital, from the ER doctor, the radiologist, the pathologist and from whomever else consulted on your case that day. The amounts are staggering. Don’t panic. Yet. Your insurance company is getting the same bills. It will take more weeks for the bills to be processed and payments made. Only after this has been done will you know how much of the total is your responsibility. For an emergency visit that amount is usually very small. If there is no insurance company involved please refer to the section on The Insurance Card above. Contact the various entities and make a deal. If for some reason you were unhappy with your emergency room experience a note to that effect can be sent to the hospital’s CEO. Your complaint will be investigated and if there is substance to it, corrective measures will be taken. It is an interesting coincidence that many patients only realize their displeasure after the bills have begun arriving. Regardless, we take your comments seriously. On the other hand, any compliment you might have will be greatly appreciated. Take the time to make a call or send a note extolling the virtues of the nurse, tech, doctor, or whoever made your experience bearable. We love that stuff. And who knows? You might see us again some day.